portraying my father; my father and I at my high school; me, Jenee Darden. 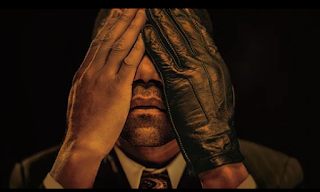 Those of you who follow me are probably looking at the title of this blog post and thinking, “What the hell?” I don’t talk about this part of my life but my father is Christopher Darden, the attorney who prosecuted O.J. Simpson. There are a few reasons why I've been quiet about this over the years and I’ll tell you why in the very near future. But I will say it was a very difficult time for my family. It changed my life, and not necessarily for the better. I wish that experience on NO ONE. All of which is why I was hesitant to watch FX’s The Peoplevs. O.J. Simpson: American Crime Story. I was 15 and in high school during the OJ trial. I decided to watch the series after reading a few interviews with actor Sterling K. Brown, who plays my father. Of course I was concerned about how Brown would represent my father. My father declined to meet him, but it looks like he did his homework so far. He spoke in an interview about having more compassion for my father being a proud black man and having to prosecute a successful black man. Mind you, my father did this on television. I hope that is conveyed accurately in the series. Yes the picture of the little black girl in the office scene with my father and Johnnie Cochran is supposed to be me. I was my father’s only child at that time. Folks were blowing me up about that photo. LOL Above I have a screenshot from the show. The black and white photos are of me as a kid. The makeup artists on the show are amazing. 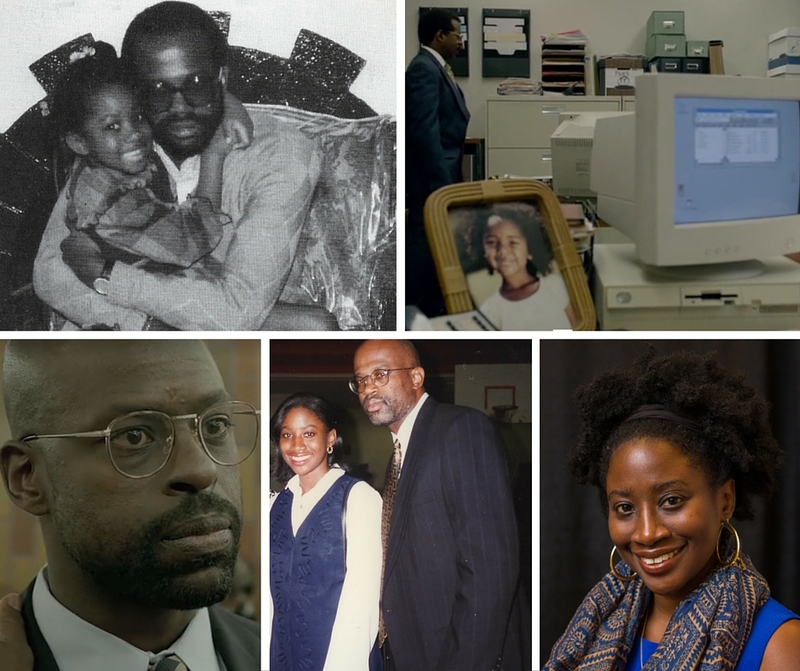 Sterling K. Brown looks just like my father. I thought a scene from one of the previews was actual court footage from back in the day. My father’s character wasn’t on much during the first episode, so I still can’t say how I feel about his portrayal. But I will say that Brown’s voice sounds pretty close to my father’s voice. I can tell Courtney B. Vance is having a lot of fun playing Johnnie Cochran. I met Vance and wife Angela Bassett years ago when I was a news producer at NPR. They are nice, classy, down-to-earth people. I never met Cochran but Vance seems to have his charisma and smarts down. Sarah Paulson is showing us the tough Marcia Clark. I sat in the courtroom a couple of times and met Marcia Clark. She’s definitely a strong woman. And I can’t remember verbatim what she said to me, but we talked about the importance of women’s strength in a sexist society. You can be strong and vulnerable as well. The series shows that by delving into Clark’s personal life. John Travolta plays Robert Shapiro. It's John Travolta and he can do no wrong. Casting David Schwimmer as Robert Kardashian Sr. was spot on. Who captivates me the most is Cuba Gooding Jr. as O.J. Simpson. At first I couldn’t see Gooding as Simpson but I was wrong. Gooding went there with his acting. He portrays Simpson as troubled, emotional, angry, an entitled celebrity, sensitive, charming and unstable. His Simpson character reflects the complexity of the case. Gooding told Variety playing Simpson is the hardest character he has done. He doesn’t portray him as someone innocent or guilty. That’s our call to make. I wouldn’t be surprised if he won an Emmy for this role. Someone commented on my Facebook page that they looked at the lawyers and witnesses as characters and didn’t think about their families. It’s crazy to me how during that time, the real trial was like a reality TV series to Americans. My father, Marcia Clark and Simpson's lawyers were real people. Whether you think O.J. did it or not, two people were brutally killed. Nicole Brown’s kids lost their mother. Ron Goldman’s family lost a son and brother. I completely understand why the families of the victims aren't watching this series. Those of us with ties to the key players had to deal with the media and craziness too. My father got death threats. I was a teenager and concerned for his safety. Like I said, I wish such an experience on no one. I can't imagine if we had to deal with the trial in the age of Twitter and Facebook! It’s definitely an interesting series, especially during these racially charged times. I will be watching. Read more of my story in the LA Times. I believe b/c the trial was televised, we all viewed the participants as characters. It was surreal to watch it and to watch like it was episodic TV. I can only imagine the invasion of privacy as well as the danger. Jenee, I'm glad you've blogged about this time and your thoughts about the program. Absolutely soror! We were viewing it as how it was impacting our lives. Others saw the key players as characters. Thanks for your comment soror. Thank you for sharing a bit of your side of this surreal story. Like Robin said, it really did play out like a live reality show. Also, I was around your age as well when all of this went down. But that's where the similarity ends. I was viewing this as an awed spectator. You were living this. Thank you Vivi for your response. It didn't dawn on me until years later that people were viewing it like a reality show. Of course there was a lot of passion too because of the racial tension during that time. This was a really great read. I was 14 years old at the time of the OJ trial. I can remember being nervous about watching the trial on tv. Every news outlet was reporting the trial every single minute of the day. It was over kill and traumatizing for a young child. So I can only imagine how you felt during that time in your life and being connected to this horrible situation. I felt your emotions in this post. Very sad even after all these years. The coverage was overwhelming. I watched some and then tried to live my normal, teenage life. It was a hard time. And it's unfortunate that people got caught up in the drama and forgot about the victims. You are brave to come out with these thoughts about a time in your life that you don't usually talk about. Your story will only help humanize the lives of others in these times when people can so easily dismiss real people's stories as reality TV. Thank you so much for the support as always Diana! I hope my story does some good for someone. Jenee, all I will say is that I'm glad that we are friends outside of all of this. Also, I'm glad that I didn't know when we were co-workers. I can't even begin to imagine what you and your family went through.You are a strong black woman, with a positive voice to match. Keep on keepin on sister! Much love and respect for you. P.S. Yesss, my mind was tooo blown yesterday when I read your blog. Thank you for sharing this part of your life. I know that it must have been hard during the trial for a young girl. Blessings to you and your family. You are a jewel! I knew it was you. Thank you so much for the kind words. I really appreciate everyone's kind words of support. I commented above. I meant to place my name. Have a great day! Thank you sis. I responded above. I agree that the Marcia episode was very good. I'm really surprised how people are reacting to my father's portrayal because of how people viewed him during the trial. I agree the romance part is a bit cheesy, but I'm looking at it from a personal angle. And Hollywood loves a love story. Thank you!! What kind of law do you practice? Soror, I can only imagine how it must have felt for you as the only child/daughter of Mr. Darden. Thank you for sharing. Thank you soror for reading my story. I want you to know I watched the trial as a 25 yr old in small town, Indiana. Your father was amazing. He did prove OJ Simpson murdered those two, as his own children slept upstairs. Everyone knows because of your fathers strength, integrity, and skill. Although the decision was not guilty, would you please thank your dad-I, and so many others, appreciate his service to get to the truth. He is a part of our country's history and will be remembered as a hero. 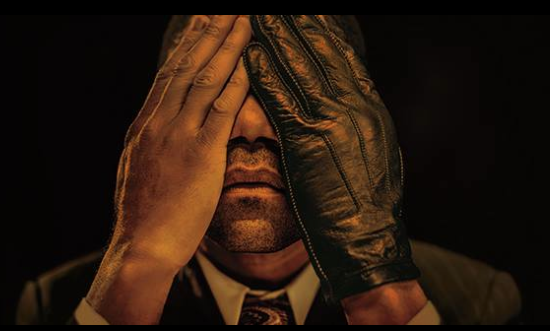 Marcia Clark and Chris Darden are both amazing in a courtroom, and as human beings. They earned our respect. Thank you so much for sharing your story. I cannot begin to imagine how difficult those times must have been for you.